Walking is one of the safest forms of exercise known today. Depending on how often you walk, you can manage to easily lose one pound per week or more. Think about it, in less than five months you can be 20 pounds lighter without spending hours at the gym and without going on a diet. While you shed the pounds and inches from your body, you are also toning your muscles and improving your health. 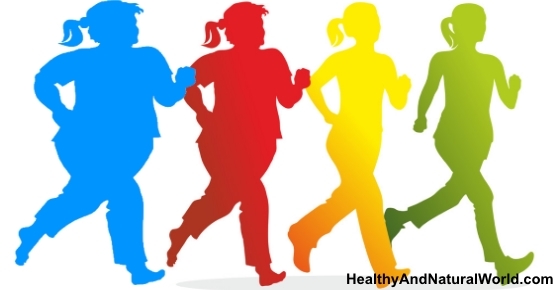 Once you learn how to implement the principles of walking to lose weight into your lifestyle, you will surely be hooked on this easy and beneficial exercise routine. The number of calories you can burn by walking is determined by your body weight and walking pace. On average, if you walk at a pace of 4 miles per hour (a common pace) you can burn roughly 400 calories per hour. You don’t necessarily need to go 4 miles a day. As an example, if you commit to walking 3 extra miles, they would be burning an extra 300 calories a day. You can even walk a shorter distance than that and combine it with your daily schedule. You can use a device called pedometer to help you burn extra calories and lose pounds while walking and doing your daily schedule. If you are trying to lose weight through walking, one of the best things that you can do to boost the chances of success for your efforts is to go out and buy a good quality pedometer (like this one) or a wrist band that can track your daily activities. Pedometer is a helpful device that you attach to your clothing near your hip area. It is light weight and has a variety of features. The main feature is counting the number of steps you take during your workout or throughout your entire day. For example; if you currently take 8,000 steps with your existing routine and daily habits and are maintaining weight, the number of steps that you need to increase your daily distance to lose weight is simply a matter of mathematics; increasing your mileage according to the number of calories you want to burn (more details on that below). To lose weight the average person needs to take about 2,000 steps in the average mile. One mile burns about 100 calories. This means your pedometer will help you keep track of your steps, how many miles you reach each day and how many calories you burn. It will also help you if you don’t have time to exercise. You can simply add steps to your daily routine. To lose 1 pound per week you need to add 10,000 steps to your day. If 10,000 steps sounds a lot, here are a few ideas on how to fit all that walking into your busy day (remember – you don’t need to start from 10,000 steps. Start gradually – you will just lose less weight). Get off the bus early and walk the rest of the way home or to work. Park your car further away from your destination and walk the extra distance. Walk to the station instead of taking the car or bus. Depending on the style or type of pedometer it may have advanced features including keeping track of the number of pounds you lost and how many calories you burned. This information helps you keep track of your progress by giving you a clear picture of what you have physically achieved during your walk. Due to the important details recorded you will want to invest in a good quality pedometer (like this one) to assure every step is counted. According to the American Medical Association, wearing a pedometer is essential to long-term weight control and successful weight loss. Walking the same old track can become boring so keep your routine interesting by switching things around. Walk outdoors at different parks, different neighborhoods and bring along music to enjoy, motivate and energize you to complete your daily walk. Don’t let cold winter weather hold you back from your daily walk. Invest in a treadmill and place it in front of a window or television. You can enjoy viewing nature by glaring out the window during your routine or point the treadmill towards your television and savor every minute of your favorite show. You can also invite a family member or friend along. Even if they join you only once a week, it is still a beneficial way to mix up your routine. Often, dedicated walkers will become bored with the same old routine, so don’t let it happen to you. Keep it interesting and switch up your routine as much as you like. Everyone knows how to walk and have been doing so since they were a small child. However, over the years bad posture and habits may have caused you to have less than desirable walking standards. When walking for exercise you will want to keep your chin up, focus your eyes about 10 feet forward, keep a long stride, pull in your abdomen towards your spine and squeeze your glutes. This style of walking will help you achieve maximum benefits from your workout. Before you begin your walking routine you will want to consult with your primary physician to assure you are healthy to participate in the activity. Once you receive your physician’s approval, you will want to begin walking three days per week for 15 to 20 minutes. Then you will want to gradually increase the frequency until you are walking 30 to 60 minutes per day almost every day of the week to lose weight faster. You will be pleased to know that moderate exercise is one of the best things you can do to lose weight. It is also one of the 3 things you can do to lose 88 pounds in one year without a diet or losing 10 pounds in a week. Incorporating physical activities into your daily life is also one of the 70 habits featured in my e-book 70 Powerful Habits For A Great Health which will guide you how to take positive steps to improve your wellness and overall health. You can find more tips on how to lose weight in my post about the best 9 secrets of losing weight without a diet. Consume apple cider vinegar (ACV) and try to mix ACV with garcinia cambogia. Do these 12 simple tweaks for weight loss and great health. Try these fat flush water recipes to melt your fat. Include in your daily nutrition these best foods that help fight belly fat. Learn how to reset your hormones and melt fat. There are amazing herbs and spices that can help you lose weight. You can find a detailed program on how to lose weight in my eBook Blast Your Belly Fat. I’ve created this program specifically for losing belly fat but you can follow it as part of your weight loss diet. Hi Rubul, perhaps your level of fitness is quite low, which causes you to feel that way (unless of course you have another health problem which in this case you need to talk to your doctor if you have any concerns). But if you are overall a healthy person, it’s best to build your fitness gradually. If running is too much difficult for you, start with brisk walking for shorter distances and gradually build your level of fitness. I agree with this article. I was always in shape with all the walking i did when living in NY. Now I live in AZ and have gained weight due to depending on my car for everything especially in the hot weather here. If the article is saying that walking works in general for everyone who makes 10000 steps per day I can assure you thats not the whole truth. It been a year now I have roughly 8500 steps per day. my record is 20900 steps per day. and I didnt lost a pound. I am eating healthy have a calorie deficit of 200 cal per day. I started burning fat when I started jogging and workout. plus visualization and meditation. so walk can keep you somehow fit but don’t count on that as a main tool of loosing weight. Preach the truth!! If you want a certain type of body, look at what sport gives you that body and find out what they do in that sport. That’s the secret. It will most likely be running (1hr=400-600) now factor in from that exercise don’t include diet yet (it’ll add up to 1 pound/week by default anyways)! This is how much weight you want to lose on top of the additional pound you lose from diet. If you sweat hard/ push yourself and get that 600 cal/hr now x6 u lose 1 pound, do the workout x12= 2 lb! Focus on exercise more because you most likely already have a clean diet -> lifestyle (walking) vs working out (running) there’s a difference! I like what this is saying. It works for me, I am in the Army and I walk 2 1/2 miles in 28 minutes and 19 seconds for my physical fit test twice a year. to build up to it I walk 3 times a day for an hour at a regular 4 on the treadmill turning it up to 5.2 for the last 10 minutes and I have lost about 30 pounds in the past few years. I think it depends on your body and how it likes to burn the fat. Great article! For many people high impact exercise can do more damage than good, and especially if there is significant weight to lose. Walking is a great way to improve health and easy to incorporate on a daily basis. I know when I started my healthy weight loss journey I was much more inclined to do consistent exercise with walking than other forms of exercise. I certainly was able to easily lose weight with a nutritional system but my health improved ten fold when I started walking every day too! Should you walk before a meal or after? If you eat a heavier meal, wait 1.5-2 hours before walking. If you walk in the morning, you can eat a light breakfast before it. I have never had any problems with walking or jogging right after a meal. I know some people get stomach aches when they run/jog after a meal. It has never effected me in any way. I still can eat a big meal and speed walk 5 miles without any problems. I use to race in triathlons and ran long distance. I could eat anything before working out without waiting. I only can physically walk after breaking my neck and herniating several discs. I do have hardware in my neck from one fixed disc. I personally could never exercise on an empty stomach, I’d get dizzy if I did. My husband races in ironmans, marathons and 1/2 ironmans. He does not eat before exercising. It’s different for everyone and there are no set rules. I am so much happy by reading your Comment. I am 24.5 yrs old unmarried girl. Weighing 60 kg and 157 cm. Want to come up to 50 kg. From yesterday, I have started walking.Today, I walked almost 8 km in 1.5 hrs. Thank you so much for giving me inspiration. Can you please tell me which fitbit model you purchased and its prize? you can also add some extras to make walking for weight loss more effective…ie) ankle weights, a backpack (up to 15 pds), or walk in the sand if you’re near a beach. What about we older folks that top out at 2 mph and 20 minutes? 4 mph would be a run to me and last all of 2 minutes. I’d like to lose 40 lbs, but have to consider knees, diabetes and heart problems. Come up with a slow steady plan for me and others like me. I agree with Sherry. I need to lose 50 pounds but have been inactive. I use to walk 4-6 miles 4 times week 5 years ago but now I am walking on my treadmill at 2.4 mph. I usually walk 2 miles at least 4-5 days a week and I am trying to build up my endurance plus I was a smoker for too many years. My average steps per day is a little over 5k. I would think that even tho I am not making it to 10k or more that going from nothing to 2 miles a day for 4 days that I would lose something? I Love this article by far. It give great inspiring thoughts on how to stay motivated throughout the process of toning or slimming down. Just started my own personal journey and I have actual started working out thirty 15 and 30 minutes a day. I’ve always heard that walking has been the greatest way to maintain your weight or to lose. This has worked for me in the pass. Now let’s try the future. I Totally Agree!!! Your article has giving me life. Walking , walking, walking; Super excited about it. Walking is good, especially if some faster intervals done periodically. Don’t forget some resistance training to strengthen various muscle groups (think curling hand weights for biceps, arm slingbacks for triceps, overhead and side movements for lats, rowing, and do some slow squats, holding on to back of chair for knees and gluten and thighs). I’m 61, and feel stronger and can walk farther than I could at 50. I’ll not likely ever run or jog again, but can walk for miles and my spine and other alignments are very good. The key is to get strong and get moving! Anyone can do it! I am 26 years old, I have an hypothyroidism, I completed my labour 9 months back through cesarean and I am feeding my daughter through breast milk,and my weight is 100 kg and height 5’5,recently started walking in early morning for 45 minutes ,can I continue my walk at this weight, if I do walking there will be any problem for my knees for this excess weight,please suggest me,please also suggest me tips for speed weight loss and any different excercise. If you walked so far and didn’t feel any pain in your knees, then there is no reason why you cannot continue walking. While an occasional pain here and there is common, you need to know when you can and can’t ignore the pain. When you have knee pain that limits your ability to do normal things, then it’s a signal of the body that you shouldn’t ignore and you need to have it checked out. While being overweight increases your chances of knee pain, diet and exercise are very important for weight loss. So if you feel a knee pain, you will need to find activities that go easy on the knees, for example, choose a stationary bike over walking, or walk on a flat surface instead of hilly surface. Or you can decide to go easier on your walking regimen and allow your body more time to recover (for example decrease intensity or duration of walking). As for your other questions – I have in my website many exercises for the whole body that you can easily make at home, and they also include detailed illustrations. I also have many articles about weight loss. The best thing to do is to use the “search” tool in my website, which is located at the upper right hand side, or at the bottom in some mobile devices. I started walking two days back I am 34yrs old 6feet tall but my weight is 116kg..which is too much.I want to reduce my weight..I don’t follow any kind of diet..since I started first day I Wales 1.5km(in 19mins) 2nd day 3.07km(in 34mins) & 3.64km (in 40mins)..I had athletes body till I was 25 as I was involved in many extensive sports activity but once started working in a office all physical activities stopped all of sudden & I started gaining weight ..in Last 9 years I gained around 56kgs. I found this article very interesting & inspiring..as I started walking I hope I will loose weight & will be back in shape…let’s see how it goes. Walking is good exercise but the truth is this… You CAN’T OUT RUN YOUR DIET! If you want to lose weight no exercise is going to do it – you MUST eat less. Playing Pokemon GO, walking 5km a day on it. No luck so far -_-‘ now what. . .? HI, i am Sekhar, age 27, weight.95 kg.I want to reduce my weight to 80-85 kg.I walk daily for 45 minutes intensively.Is it good enough?how much time will it take? Brisk walking for 45 min. every day is good, but it’s hard to forecast how much it will take you to reach your goal. Every person is different, and losing weight depends on many factors, such as your nutrition, other physical activities you do, hormonal issues, metabolism. There is no “fixed” time frame that will fit all. You also need to be realistic – you didn’t gain the weight overnight, and you are not going to lose it overnight. You need to give your body time to lose weight, and combine physical activity with a proper healthy eating to achieve good results. Time is not a matter. I know that I have to be patient. Btw my height is 6 feet 1 ince or 187 cm.I did not mentioned that before. I suffered a stroke and 3 heart attacks within 1 month back in 2011,I was partially paralyzed from my right side of my body for almost 3 years, until I decided to get rid of my depression and get back on my feet, I started to take 3 steps at first, that’s all I could walk at first, then I started taking 6 steps, then 12 then 24, then 48 and so on, now I’m taking a minimum of 10,000 steps a day and I feel great, still take some meds ,but my diabetes ,high blood pressure and glaucoma is under control and I feel great, I’m disabled and I still have some health issues, but I frankly feel like I’m healthier than I’ve ever been, and all from walking, when I was bedridden, I gained a lot of weight, I’m talking about 350 lbs, now I’m still a little on the heavy side, 206 lbs last week I got on the scale, and all thanks to eating healthier but mostly for walking, so I encourage you all to do a little walking, it’s not only fun but it would help you all lose weight and feel a lot better !! Please install a pedometer on your cell phone so you can keep track on your walking distance, it will tell you how many steps you take and it will also motivate you on knowing what your next challenge will be on trying to surpass your previous walking distance, I’ve been walking 300,000 plus steps a month for the past 2 months, now my goal is doing 320,000 steps this month, and I’m sure motivitad andI’m so sure I’ll be accomplishing that goal this month !! Hey i weigh 80 kgs and want to cut it off to 70 kgs.. I dont walk or workout because of hectic routine of my work.. I need to know is walking good enough for me to reduce that much weight with walking in a year. There are many parameters that can determine how fast you lose weight with walking, such as how often you walk (is it on a daily basis or less), how long you walk (is it long or short distances), how fast you walk (brisk walking rather than slower pace). It also depends if you maintain a healthy nutrition. Also some people lose weight faster than others, so it’s hard to tell how quickly you will lose the extra weight. Bit more than disappointed that this article is designed to showcase a particular pedometer. You could at least try to be a bit more subtle. Not sure what your problem is. If you don’t want it, don’t buy it. Simple as that! No one forces you to buy anything. I suggest that you get over your disappointment and find something else more important to be disappointed about. Walking and swimming are the best exercises for weight loss…..the dr told me that I need a complete knee replacement so I started doing these two exercises and went from walking with a cane to walking pretty normally. When I started walking I applied samsung health application.It is great to manage my daily activity.This application provides walking distance-calories burned -healthy pace steps.and distance target in km . My Aba1c dropped from 7% to 6.3%. in one month walking.Your information are very useful .Thank you.